Meet Sullivan Jones who currently stars as the complex German engineer, Wernher von Braun in The Winning Side at The Acorn Theater. Best known for his recent role in the Hulu Limited Series “The Looming Tower”, he has also appeared on screen in “The Good Fight”, “NCIS: New Orleans” “Parks and Recreation”, “House of Cards”. 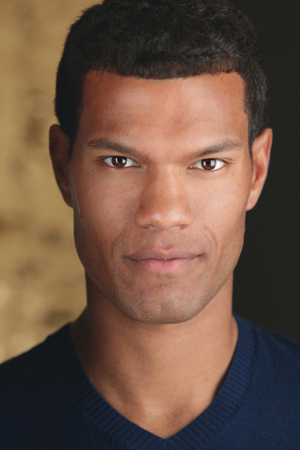 Born and raised in the Bay Area, Sullivan is an alum of Brown University and UCLA’s School of Theater. On stage, he has performed regionally at The Denver Center, Berkeley Rep, Baltimore Center Stage, The Long Wharf Theater, TheaterWorks, The African American Shakespeare Company among others. Let’s greet him On The Couch. Being born. I made it! Fried fish from a restaurant back in my hometown called Sol Food. They only serve it on Fridays (pun intended? Quite possible…) and they serve the whole fish. If you’re serving fried fish, it really only counts if you serve the whole thing. I’ll have to go with soy sauce. It’s tough because I don’t ever have a hankering for any condiment in and of itself, but if I’m rolodexing through the condiment catalogue, soy sauce is the only one that makes my mouth water just thinking about it. Boxing…the sweet science! I initially got into boxing as a way to stay in shape, but I’m officially a fan now –– if I’m not careful I can easily spend an entire night watching replays of boxing matches that I’ve already seen before. Sad but true. Reacting to things, rather than responding to them. Writing something that gets produced. A good acting gig is wonderful, of course, but producing work from scratch seems like summiting a creative mountain of a different kind. Some combination of lack of sleep, exercise, and love. Ripping the seam of my pants in the middle of a serious monologue during our run of One Night in Miami… at Baltimore Center Stage. You want to be rendered immediately self-conscious during a performance? Try ripping the seam of your pants in front of 800 people during a serious monologue. Intelligence. I’m not talking “brainy,” I’m talking “intelligent” in a more wholistic sense. I think intelligence is the tree from which so many great traits can branch out. Cats all day long! My childhood cat, Rufus, was notorious for winning over the hearts of avowed cat-haters. Rufus was living proof that once you go cat, you never go back. Each of my loved ones calling me and telling me that they’re happy and healthy. For us there is only trying; the rest is not our business.